10 And as for their appearances, they four had one likeness, as if a wheel had been in the midst of a wheel (spoke wheel or wheels surrounded by other wheels ). The word "Midst" in Hebrew is "tavek" meaning 'among' i.e. surrounded by or in the company of. 11 When they went (flow), they went (flow) upon their four sides; they turned not as they went (flow), but to the place whither the head (forefront) looked (turn toward) they followed it (locomotive hauled train along the railway); they turned not as they went. 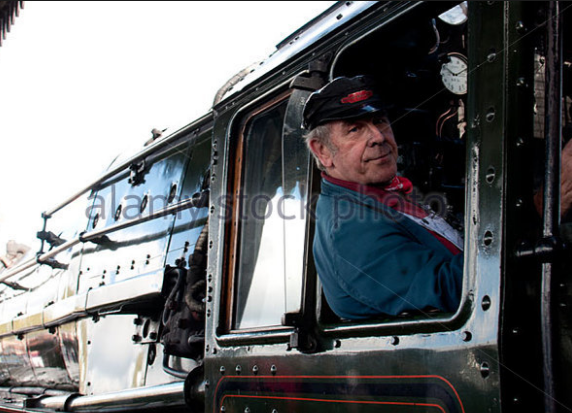 12 And their whole body, and their backs (rim of wheel), and their hands (Side rods/Coupling rods/Valve gear), and their wings (series of rail cars), and the wheels, were full of eyes round about (windows/holes/spoke wheels), even the wheels that they four had. 13 As for the wheels, it was cried unto them in my hearing, O wheel (screeching and squealing of the train wheels). 14 And every one had four faces (sides): the first face (side) was the face of a cherub (front view of a locomotive resemble the face of the Babylonian Shedu), and the second face (side) was the face of a man (Steam train driver leans out of the cab), and the third the face of a lion (Lion of Judah's logo imprinted on the rear), and the fourth the face of an eagle (both Selassie's face and the side view of a locomotive looks similar to a vulture's face). 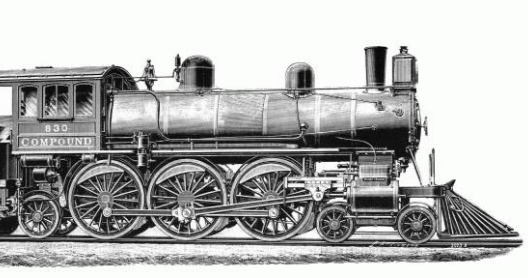 Note: The German called their first locomotive that was successfully used commercially for the rail transport of passengers and goods "The Adler" meaning 'Eagle'. 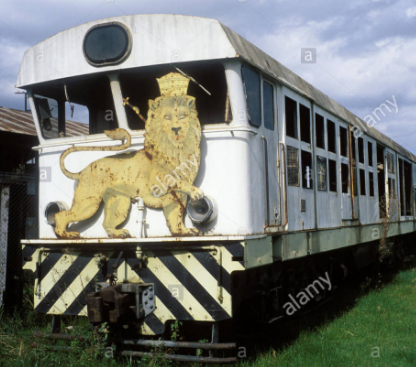 16 And when the cherubims (Locomotive) went (Depart), the wheels went by them: and when the cherubims (Locomotive) lifted up (Bearing) their wings (Box-Shape Passenger Rail Cars) to mount up (move forward) from the earth (country-Ethiopia), the same wheels also turned not from beside them. Note: The word 'lifted up' is the Hebrew word "Nasa" meaning 'Carry' or 'bearer', and the word 'Mount Up' is the Hebrew "Ruwm" means 'raise' or 'advance' i.e. in a forward movement. 17 When they stood, these stood; and when they were lifted up (Moving Forward), these lifted up (Arranged) themselves also: for the spirit of the living creature (Steam Engine/Fireobx) was in them. The word "Left Up" in the above verse is the Hebrew "Ramam" and means 'exalt' or 'mount up'; organize or arrange. 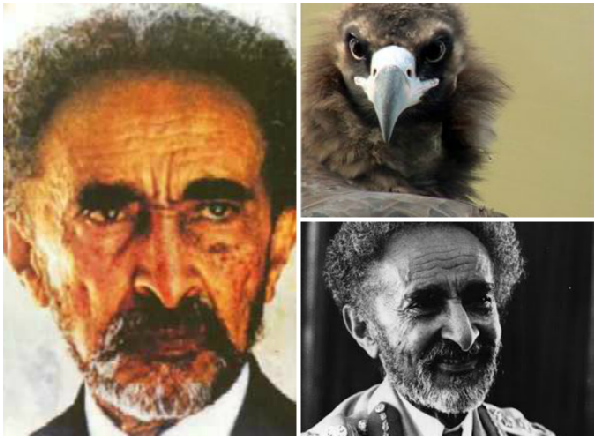 18 Then the glory (Troublesome) of the Lord (Selassie) departed (for exile) from off the threshold (entrance) of the house (Palace or Imperial Railway from Addis Ababa to Djibouti), and stood over the cherubims (Steam Train). 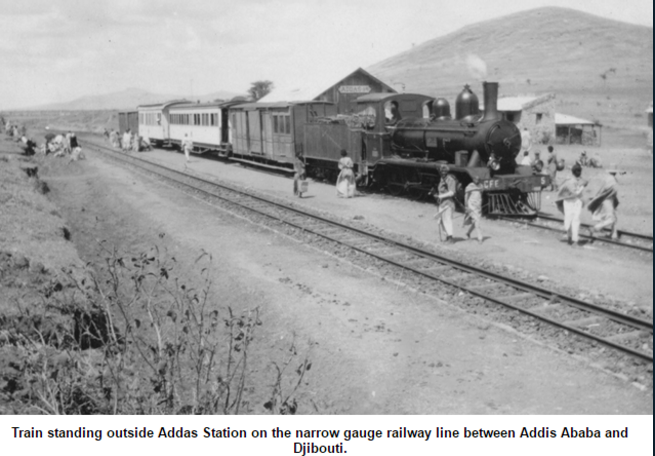 19 And the cherubims (Locomotive) lifted up (Bearing) their wings (Rail Cars), and mounted up (Proceed in a worm-like motion) from the earth (country-Ethiopia) in my sight: when they went out (Depart), the wheels also were beside them, and every one stood at the door (Opening) of the east gate (Port/Train Station) of the Lord's house (Palace/Imperial Railway); and the glory (Anguish) of the God of Israel (One of Seleassie's title was Ye'Israel Nigus=King of Israel) was over them above (Carried Away). The word 'Mounted Up' in the above verse is the Hebrew "Ramam" and means 'exalt' and also "to be wormy", derived from the root word "Rimmah" meaning "worm". Hence, a train move upon the rail track in a worm-like motion lead by the locomotive at the front. 20 This is the living creature that I saw under the God of Israel by the river of Chebar; and I knew that they were the cherubims (Steam Train). 21 Every one had four faces (sides) apiece, and every one four wings (four corners=Box-Shape Passenger Rail Cars); and the likeness of the hands of a man (Side rods/Coupling rods/Valve gear/Coupling-Coupler) was under their wings (Passenger Rail Cars). Note: The word for "Wings" in Hebrew is "Kanaph" meaning "Corners," and a square has four corners. Thus, most models of Passenger Rail Cars are normally Box-shape. Coupling/Coupler — Are device at the front and rear of the locomotive for connecting locomotives and rail cars together. Side rods/Coupling rods — Connects the driving wheels together. 22 And the likeness of their faces was the same faces which I saw by the river of Chebar, their appearances and themselves: they went every one straight forward." Ezekiel's vision clearly denotes a Steam Train; Hence, Ezekiel 1:9 "Their wings were joined one to another (series of rail cars coupled together); they turned not when they went; they went every one straight forward (Traditionally, locomotives pulled trains from the front.)." Daniel also testified of this in chapter 7:9 "I beheld till the thrones were cast down, and the Ancient of days did sit (His Majesty enthroned), whose garment was white as snow, and the hair of his head like the pure wool (Nappy or Afro): his throne was like the fiery flame (Steam Train), and his wheels (railway wagon/passenger cars) as burning fire"